Warm climates also need reliable garments that provide protection against changeable weather and that can withstand close encounters with difficult terrain. 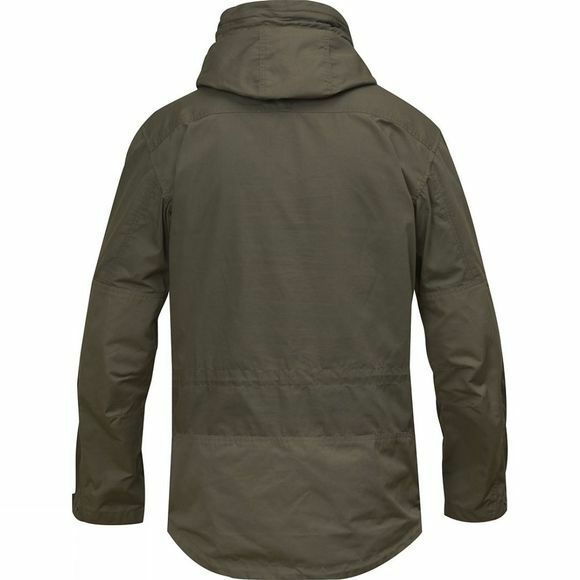 The Men's Anorak No. 10 has been developed for high activity levels and warm conditions and is made from lightweight, strong G-1000 Lite Eco fabric with excellent ventilation. It is light and packable but it also protects against scratches from branches and so on. Its spacious hood can be adjusted to fit your head perfectly and has a stiff brim with a sewn-in wire. The brim can be folded to either maximise protection from the wind or give more peripheral vision. It has a half-length zip at the front with an external protective flap and a button at the chin. Long zips at the sides give extra ventilation and facilitate putting on and taking off. The zipped kangaroo pocket has room for gloves or sunscreen, and it has an inside pocket for a phone. The back of the waist can be adjusted with a drawcord, and another drawcord can be used to adjust the lower hem. The cuffs have button adjustments. G-1000 Lite Eco is made from recycled polyester and organic cotton. Reinforcements in G-1000 Eco over the lower back and parts of the sleeves give extra durability where it is needed most. 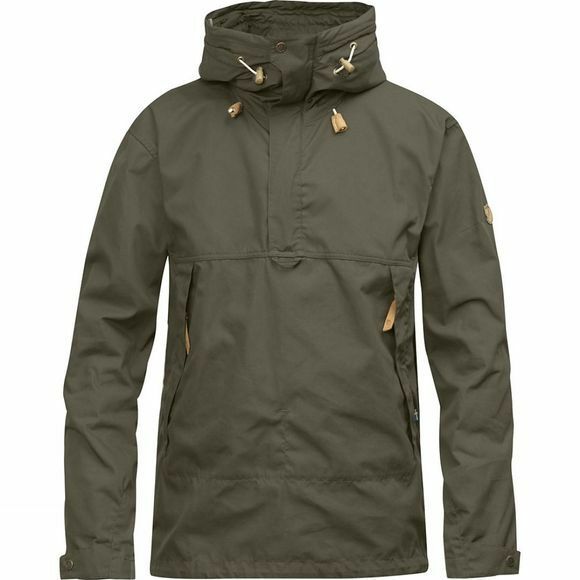 The anorak can be waxed with Greenland Wax for enhanced weather protection, or the wax can be washed out to give a cooler garment with maximum ventilation.